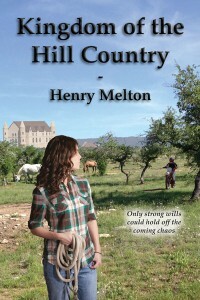 For eleven years, the Earth has been recovering from the supernova flare, but in the heart of the Texas Hill Country, a new threat has arisen, a bandit horde brutal enough to send Helen Black, the independent minded horse doctor and rugged survivor of the Star Time to seek help from the Austin City Guards. Only James Fuller, son of the despotic Mayor, has his own priorities, with no time for the pretty, but rude and outspoken girl he’d met only once before, when they were children. The fate of the city and all its people depended on what he could do with a handful of troops, broken machinery with empty fuel tanks — and the obscure and puzzling words of the city’s infallible fortune teller. The Techno civilization was gone, but would everything descend into the horrors of the Hunters Cult, or would this be the start of a bright new future? Helen and James were the keys to it all.